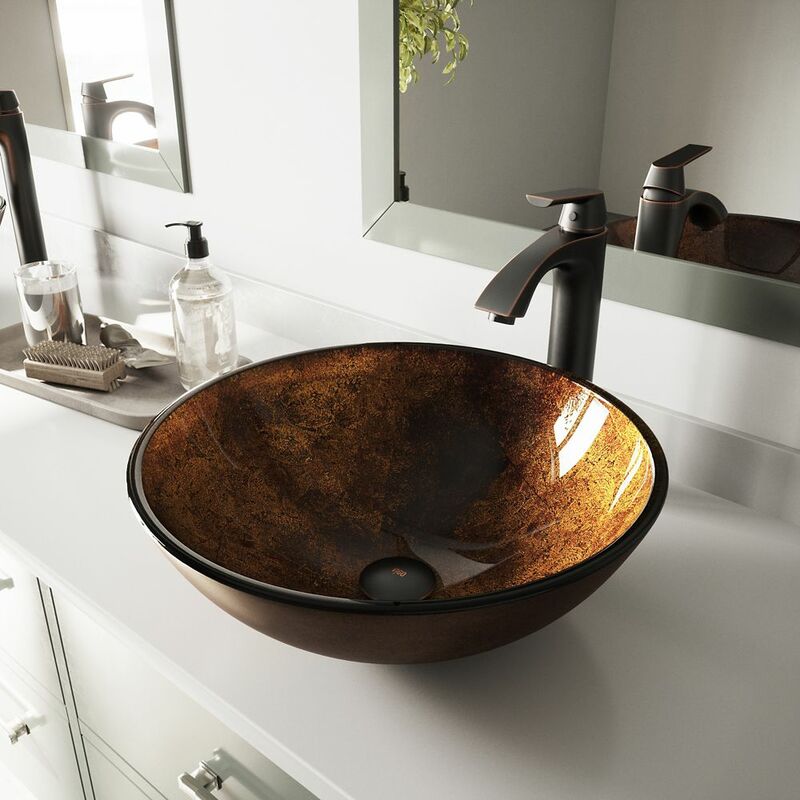 Glass Vessel Sink in Russet with Linus Faucet in Antique Rubbed Bronze is rated 5.0 out of 5 by 9. Rated 5 out of 5 by Gerg from Just started using these. It works great and really looks good. Just started using these. It works great and really looks good. Rated 5 out of 5 by Sue from It is a nice sink. I love it. It’s a pleasure to have it and I enjoy it every day. It is a nice sink. I love it. It’s a pleasure to have it and I enjoy it every day. Rated 5 out of 5 by HomeDepotCustomer from Love it. ... Love it. Rated 5 out of 5 by Penny from Beautiful sink! You can't beat the price The picture does... Beautiful sink! You can't beat the price The picture does not do it justice!